With IBM Watson APIs, businesses are already achieving outcomes – from improving customer engagement, to scaling expertise, to driving innovation and growth. One of the popular Watson APIs is the Visual Recognition which can be used to analyze images for scenes, objects, faces, colors, food and many other subjects that can give you insights into your visual content. In this workshop, we will teach you how to detect and recognize faces, using Python with Watson Visual Recognition API. We will go through the basic of Watson API in Python, including image processing. We will then follow up with a demo on training faces at scale via the Watson Facial Recognition service. 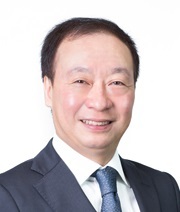 Samson is an IBM Distinguished Engineer and the Chief Technologist of IBM Hong Kong. During his career with IBM, he has held number of senior technical and architectural leadership positions in the company. Samson is a passionate speaker and evangelist on Big Data and Analytic technology. He works closely with clients and institutions in designing and developing solutions related to the use of analytic in businesses. Samson holds a degree in Computer Science and a Master degree in Business Administration. He is a Chartered Engineer, CEng, MIET; a Chartered IT Professional (CITP) of the British Computer Society; and a Distinguished Chief/Lead IT Architect of The Open Group. 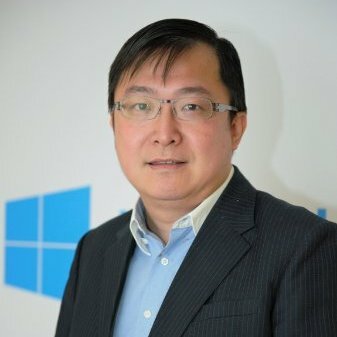 Daniel Chui is the Data Platform Technology Manager of Microsoft Hong Kong. His passion and focus is on SQL Server, Business Intelligence, Predictive Analysis, Big Data and Cloud technologies. 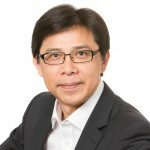 With nearly 20 years of hands-on experience, he has helped numerous customers and partners to adopt the newest and latest technologies from the Microsoft Data Platform. Before moving to this position, he worked in Microsoft Consulting Services for 10+ years as a Consultant and in implementation. Note: Attendees are required to bring their laptops. “Cloud Native Applications” is an approach to building and running application that fully exploits the advantages of Cloud computing model. Imagine having an idea in the morning and delivering that idea before the day is over. It’s closer than we think. EMC Cloud Foundry echo system provides you a platform for building and operating cloud native applications such as Application PaaS, Managed Services (MySQL, Rabbit MQ, etc) and Dev tools (Git, Jenkins and Archiva etc) to innovate, experiment, and deliver software based solutions quickly. In this session, we will outline & demonstrate the characteristics and the advantages of cloud-native applications and how EMC Cloud Foundry will help you develop and deploy the cloud-native application in rapid speed which in turn takes you forward in the digital transformation journey. 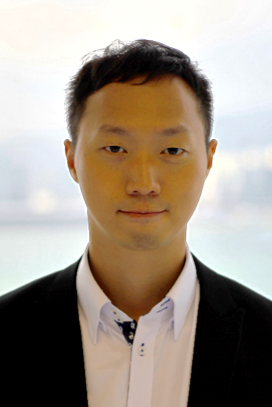 Roy Cheung is an Enterprise Solution Architect for EMC Hong Kong and Macau. He has been with EMC since 2012 where he is responsible for solutions design that leads customer’s journey to the Modernized Enterprise Architecture, Cloud and Transformation. Roy is a seasoned technology expert with solid experience in application development and infrastructure design. To enable customers on their Digital, IT and Workforce transformation journey, Roy provides strategic counsel on areas of enterprise hybrid cloud, cloud native application and modernized data center solutions. -How to become a modern, software-driven organization with a full suite of services. -To transform your business with cloud-native applications and new digital products or services. -Cloud Foundry Demo. We’ll run some experiments on pushing apps, binding services, scaling etc. Learn how to get a sample app up and running with just a few commands. It’s vital to improve and maintain a consistent delightful experiences with your customer via multiple digital touch-points. Poor cross-channel customer experiences for critical onboarding and servicing interactions lead to lost revenue and inefficiencies. This workshop is going to demonstrate how our platform can deliver services enrollment across the entire customer journey from streamlined from discovery, simplified form filling, automated form processing, to timely and engaging response across any channel. 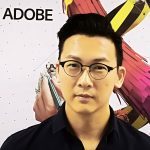 As an expert in the digital marketing space in the region, Patrick regularly presents in various trade events and conferences for Adobe and other occasions in topics around digital transformation, big data and mobile. Patrick has close to 20 years of experience in digital technologies, and before joining Adobe in 2014, he worked in a number of different roles at leading technology companies, including Oracle, IBM and Deloitte. These roles included sales management, consulting, and research and development. Patrick holds a postgraduate diploma in digital marketing from Institute of Direct and Digital Marketing in UK, a bachelor of science in Electrical Engineering from Queen’s University, Canada, and is a member of Digital Analytics Association. Apple Enormous possibilities with iOS 11 and tvOS 11 in Enterprise In this 2-hour workshop, you will learn how iOS 11 and tvOS 11 can transform your business. You will explore the many new features of iOS 11, such as Machine Learning, Augmented Reality and NFC, as well as that of Apple TV, such as kiosk and dashboard. You will also learn about developing CoreML and ARKit projects via hands-on exercises. The speaker has over 20-year experiences in software development, pre-sales consultation and system engineer management in the telecommunication industry and enterprise business. He is an evangelist in mobility and engages in projects in different industry segments. Note: Please bring Mac computer with latest Xcode installed. iPhone 7, 7 Plus or iPad Pro. 30 sets of loaner units (Mac+iOS device) can be provided if needed (first-come-first-serve).